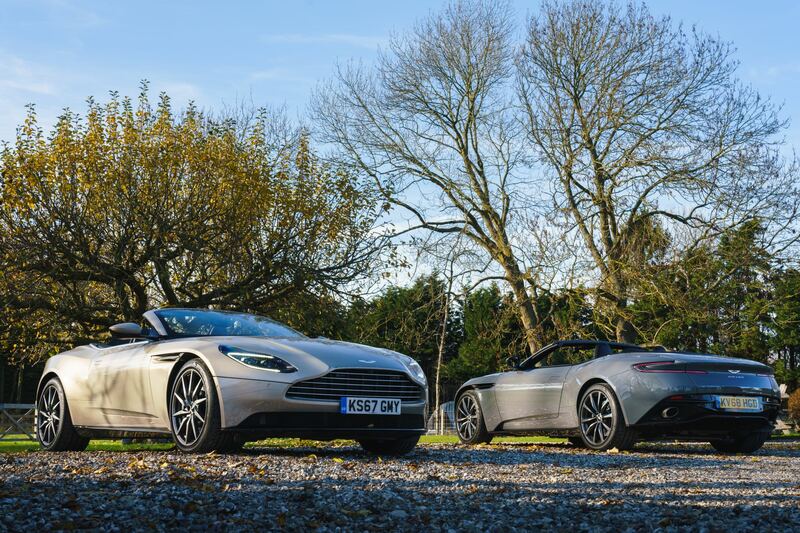 Spied – the new Aston Martin DB11 Volante and Vantage. 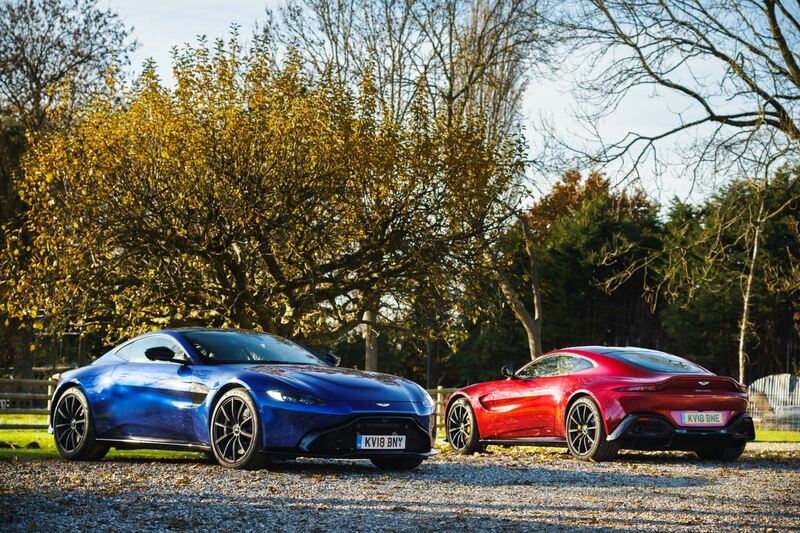 The Aston Martin story has all the excitement, luxury, twists and turns of a good James Bond book, but the reality in your hands is an exclusive range of high performance sports cars which now include the DB11 Volante and Vantage coupé. These are the latest additions to a range which comprise limited edition and continuation models for the uber-rich Aston Martin enthusiasts and car lovers. It’s all happening against a background of a dramatic turnaround in business fortunes under president and CEO Andy Palmer after years of running with losses. 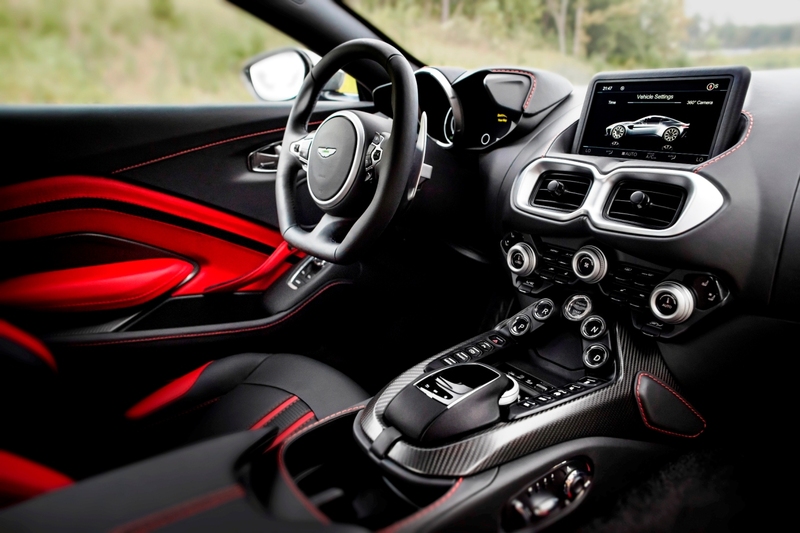 The latest results show Aston Martin’s quarterly profit before tax rose to £3.1 million pounds, a tenfold increase as sales volumes doubled in the three-month period. They rose 99% to 1,776, helped by a 185% increase in the Americas and a 133% increase in Asia Pacific, leading to an 81% increase in revenue to £282 million pounds, it announced early in November. Although the DB11 Coupé was the first model created under the progressive “Second Century” business plan of President and CEO Andy Palmer, now the DB11 Volante soft-top convertible has arrived, fitted with the company’s 510 hp 4.0 V8 engine and eight-speed sequential automatic transmission. All delivered for about £160,000. It retains the two-plus-two seating and an eight-layer electrically powered hood clamps down on the windscreen rail and into the boot space. That means it further restricts the already small luggage space but you can slip in a couple of overnight bags in the 270 litres (9.53 cu.ft) maximum space if you keep the car closed. 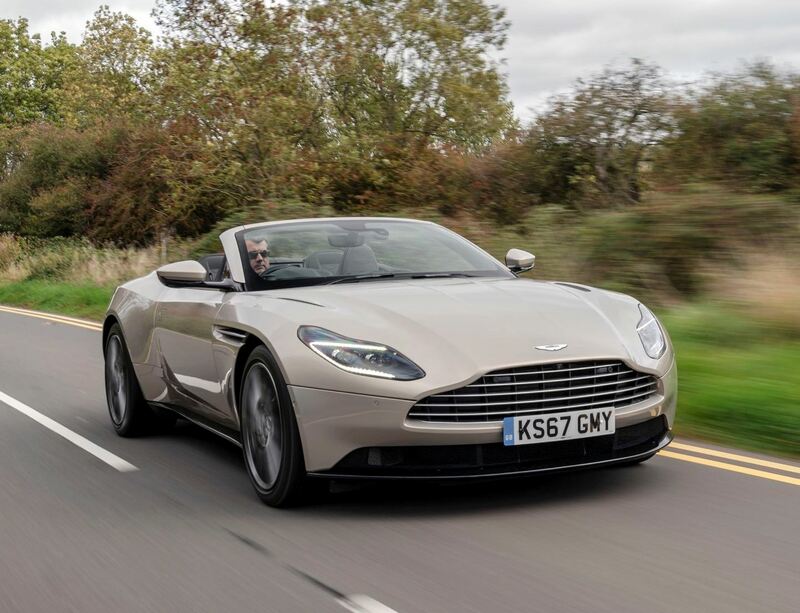 The powerful 4.0 litre V8 petrol engine packs a punch if you want to use it, hitting 60 mph in about four seconds and onto a maximum approaching 190 mph, but you have to ask why you want to go that fast when you can enjoy the DB11 Volante at much slower speed up to the UK legal maximum. Over a two-hour drive on mostly country roads last week we enjoyed the handling, ride, responses and comfort, and saw a return of 24.1 mpg. Everything inside was eye-catching and very stylish, beautifully put together and logically laid out. 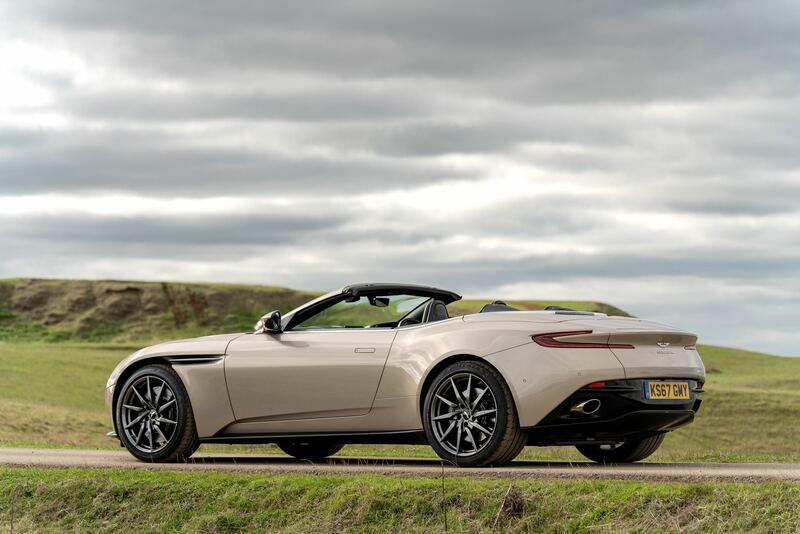 The new DB11 Volante convertible is a very worthy addition to the Aston Martin stable, which will pull in admirers to the brand who want a roomy, refined and capable cabriolet brimming with Britishness and performance potential. If you think of the DB11 Volante as a faithful Labrador, the new Vantage Coupé is every inch a Bulldog which strains at the leash, but with one exception, the car is better looking in every way. It has one of the largest bonnets of any car in production and that covers a 510 hp 4.0 V8 twin-turbo engine which gives a 0–60mph time of 3.5 seconds and maximum speed of 195 mph. An extensive suite of driver aids mean you get the most out of the engine, eight-speed ZF automatic box and that new intelligent rear differential. We achieved 19.75 mpg. 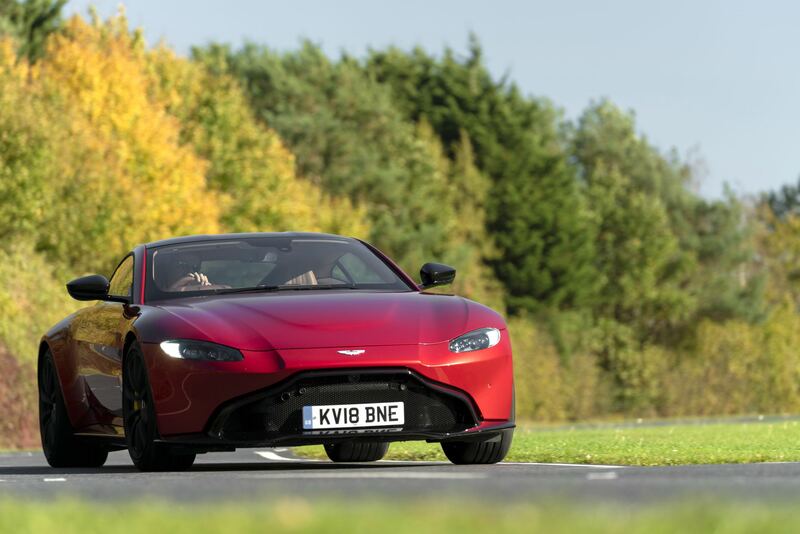 We enjoyed the £121,000 Vantage with its sharper standard responses and it really carried on where the DB11 Volante ended its selectable settings. The Coupé included a Track Day setting for the would-be racing driver owners to fully enjoy its performance in safety and out of the reach of speed cameras. The driver and passenger sit low in the cabin but have a lot of room; there is generous oddments space behind their seats and on a deep rear parcel shelf over the larger 350 litres (12.36 cu.ft) boot. 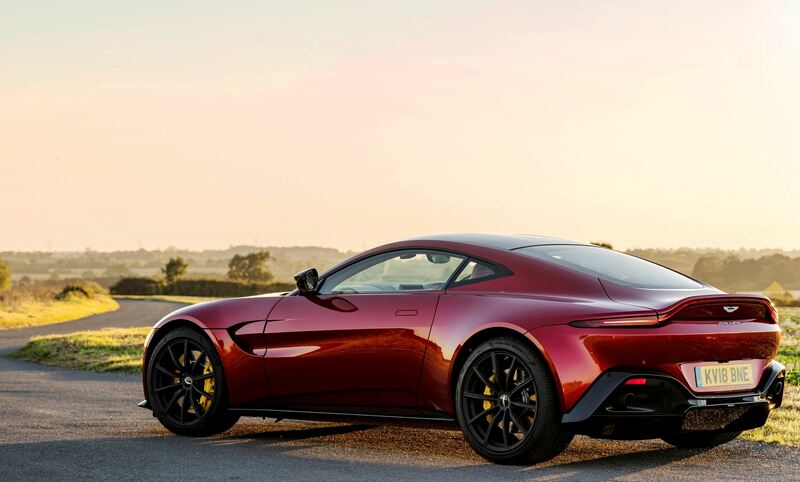 The Aston Martin Vantage name goes back to 1951 and it has been the marque’s entry-level and best selling model over the years. With the new powertrain and handling refinements there is no reason to doubt it will not continue the success it has enjoyed. So the Aston Martin story continues, apace.